the unique qualities of Floyd County's history, heritage, and natural environment. Did you miss FAN FAIR 2015? Want another chance to attend the workshops? Click here . . . . almost like being there . 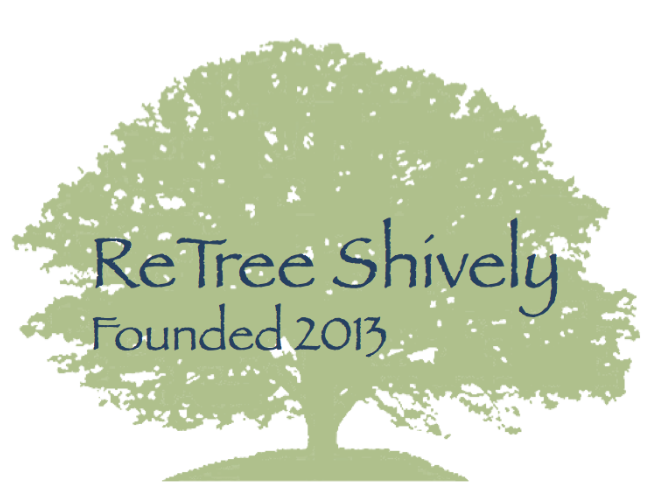 . .
to the solutions and opportunities for sustainable living. ﻿﻿Meet ex﻿hibitors who offer sustainable products and services and attend workshops on a variety of topics. The workshops inform and demonstrate how to conserve energy and how to live sustainably. Vegetables produced by Lost Creek Acres, Ramsey, Indiana. Don't miss the activity center where imagination rules! Good Garbage - Louisville’s Center for Creative Reuse - brings the fun to our FAN FAIR. Children of all ages can build entertaining and delightful objects from destined-for-the-landfill junk. You can get creative. The fun is in the journey: Make a sculpture of found objects. Turn a cd into a spinning top. Create a a marionette out of a toilet paper roll. We believe in no limitations. Your imagination rules! Independently-owned local market and deli selling high quality organic, natural, and minimally processed foods all day. Enjoy and snack and a beverage during the FAIR! Want to join us as a behind-the-scenes volunteer? For details, email FAN@FloydActionNetwork.org. Each time slot offers a choice of 2 workshops. Only the keynote and the closing presentation will be delivered as single presentations. 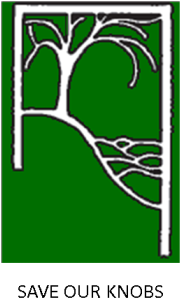 A new concept - "intentional communities" - to some, but not to Chie. Chie defines the concept and describes her recent experience with international sustainable communities in this opening presentation to our FAN FAIR. She sets the tone and focus of our event with her travel stories and tells what she learned about how these planned residential communities, designed for social cohesion and teamwork, share their resources in novel ways. 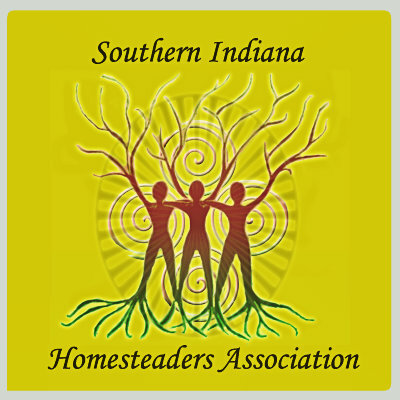 What lessons can we apply from this legacy of grassroots, not-for-profit sharing happening in intentional communities worldwide? A Kentuckiana native and a 2013 graduate of Williams College, Chie majored in Environmental Policy. In March 2013, she received a one-year travel fellowship to study ecologically sustainable intentional communities worldwide. Chie plans to continue her passion for the study of socio-ecological problems and solutions by pursuing a PhD in Sociology. Are you wondering about the tiny house movement? Do people really live in those little houses? Have you thought about downsizing, living more simply? But would a tiny house be too much downsizing? 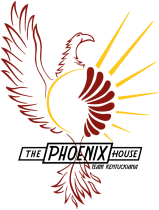 Too simple? Learn about the tiny lifestyle and its attributes that fans, young and older, realize. And if it's this sustainable life style you choose, learn how to build your own tiny house: what building involves, including building on a trailer frame versus building on a foundation, planning, codes, blueprints, budgeting, tools, materials, energy concerns . . . and so much more. related event sidelined her in mid 2000, and she returned to school to finish her degree. A lifetime later, demonstrating her tagline - "Live in the moment, it's really all you have" - Nancy now uses all those skills to build her own tiny home on wheels.Nancy heads up the Tiny House Project Louisville in cooperation with the community in exchange for teaching them building skills. Nancy continues to learn new things every day. 11:30 - 12:30 Got Green Space? Can You Ever Have Too Much? We all have that area in our community, neighborhood, or on our own property that is wide-open green space. It may mean mowing and maintenance which may not add value to the space and costs time and money. What can we do to keep the green space while adding function? 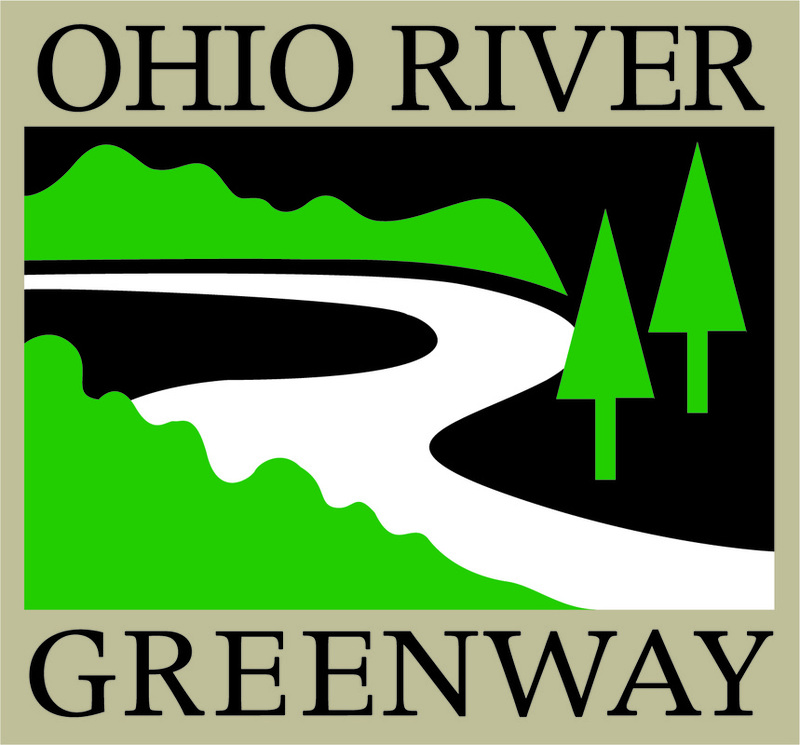 During this presentation, we’ll talk about the benefits of wide-open green spaces. We’ll share ideas that liven up the space while making it functional and environmentally-friendly. With a B S in Horticulture Production and Marketing and a minor in Natural Resources and Environmental Sciences, Purdue University and M S in Agriculture Education, North Carolina A & T University Gina joined Purdue Extension a year and a half ago. While most homes in our community were built without much thought for energy conservation or sustainable living, some of them can be made into more environmentally-friendly dwellings. This workshop considers the possibilities. Your home's design and your abilities influence the extent to which you can adapt the ideas. The ideas range from quick and simple to more comprehensive that might require the assistance of a contractor. David Brown Kinloch grew up in Louisville and graduated from Ballard High School. He attended New York's Rensselaer Polytech and served two years in the Jesuit Volunteer Corps in Brooklyn and Philadelphia. Returning to Louisville, he started his own business, Soft Energy Associates, which develops renewable energy projects. In 1989, David and his partner Bob Fairchild installed Kentucky’s first small hydroelectric project at the Weisenberger Mill in Midway, Kentucky. Currently, David and his partners are restoring the Mother Ann Lee Hydroelectric Station on the Kentucky River at Shakertown. He lives with his wife and two children in a solar home he built in New Albany and works from his office in a solar home he renovated in Louisville's Phoenix Hill neighborhood. The prospect of finding an inexpensive - yet comfortable - single-family house in any urban area is often a challenge. With this in mind, One World Architecture has devised a prototype green shotgun house to provide a new, progressive model for affordable, sustainable living in an existing urban context. Attend this workshop to learn about the house designed to take advantage of the large number of narrow vacant lots found in urban neighborhoods. With emphasis placed on quality design, solid construction methods, and practical sustainable strategies, this affordable option is attractive, durable, and energy efficient. A licensed architect for 18 years, Curtis has experience designing various building types including large, institutional work as well as smaller residential projects. Previously licensed in North Carolina, Curtis now holds licenses in Kentucky and Indiana and is LEED accredited (Leadership in Energy and Environmental Design). Curtis is passionate about creating beautiful spaces based on the belief that even the most humble project should be considered carefully through creative collaboration. Most new houses being built today are obsolete the moment the owner moves in. The new home owners--if they had any influence on the construction of the house--could have oriented the long side of the building toward the southern sun. They can demand that the walls be thick and tight and that the sizing of the windows be correctly suitable for each side of the house. Then all you have to do is work the house correctly. The sun tells you what to do. So you say you already recycle. Do you ever wonder about all those materials that are not accepted in your curbside bin or at drop-offs? This workshop will be an effort to help you better understand the recycling of materials that are accepted and to help you avoid dumping everything else into the garbage. David Isaacs, math teacher, who retired from Jeffersonville High School in 1998, began recycling at some point in the 90’s. He demonstrated his passion for spreading the recycling word by becoming an active member of Trash Force in December 2013, and a board member in January 2014. 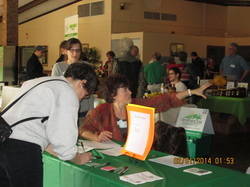 Dave presents information on recycling whenever he has a chance – New Albany’s Farmers Market, IUS classes and more. He regularly writes a column formatted as questions and answers about southern Indiana recycling issues in the News and Tribune. Is there a way to improve our family's safety, health, finances, and the planet -- all by just one decision we make on the homes we buy, build or remodel? The homes and buildings we spend nearly 90% of our lives inside use nearly half of our country's energy demand. The EPA estimates that our indoor air quality is 2 to 10 times worse than outside air. Today, there's no reason we couldn't make our homes be alive and independent of grid-tied utilities while protecting - and even improving - the health of the occupants inside. Solution: The Living Building Challenge, the way to make our homes come to life! Sy, owner and operator of GCCM Construction Services, Prospect, KY, is an international award-winning, progressive builder, in both residential and commercial construction. Sy focuses on best practices in sustainability and building science. Having grown up working in construction with his brothers and father, Sy was inspired to learn, innovate, create, and execute revolutionary practices in the built-environment. He graduated from the University of Cincinnati with a degree in Civil & Environmental Engineering and worked for some of the world's best design and construction companies. In 2006, he started GCCM Construction Services to better focus on advancing the construction industry to the 21st century. 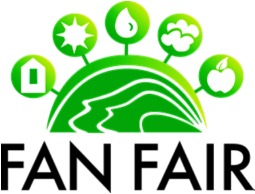 Sy created My Green Kentucky Home, a model home that is Kentucky's first Net Zero Energy, Net Zero Water home pending LEED Platinum certification by the US Green Building Council. Since then, he's adopted the most stringent third-party programs, the Living Building Challenge and Passive House, while becoming a Department of Energy Zero Energy Ready Home Partner and is currently completing his training in becoming a Certified Passive House Consultant. Visit the Web sites of our exhibitors by clicking on their logos. Also available in our exhibit hall before and after their workshops are presenters, Nancy Bohannon, The Tiny House Project Louisville; David Isaacs, Trash Force; Curtis Thrush, One World Architecture; Sy Safi, GCCM Construction Services; and Gina Anderson, Purdue Extension. 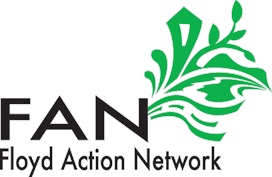 Floyd Action Network relies on the generosity of the community for our programs and events. In 2015, FAN appreciates the generosity of Purdue College of Technology who provides meeting space for workshops, the technical equipment for presenters' use, a bright, airy exhibit hall, and even staff to ensure our guests safe and convenient use of the building. Horseshoe Foundation granted generous funding for the production of FAN FAIR 2015. The funding means that participants have access to information and education on issues that save home heating and cooling expenses, encourage conservation behaviors that influence increased quality of life and preservation of our natural resources, as well as free admission to FAN FAIR. And our neighboring organizations, Save Our Knobs and Greenville Concerned Citizens, has consistently supported and sustained FAN's efforts to educate and inform residents of southern Indiana, especially Floyd County, through the years. Thank you Horseshoe Foundation and Purdue Technology Center for your generous sponsorship. Registration with volunteers Cheryl-Ulrich Barnett and Rebecca Donaldson. 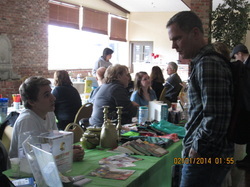 Exhibitor Harrison, Big Al's Charity Thrift Stores, visits with one of the guests. 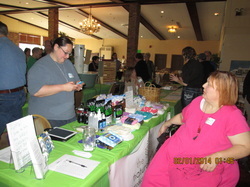 Kim Fanning, The Natural Baby, chats with FAN board member Myra Craig. 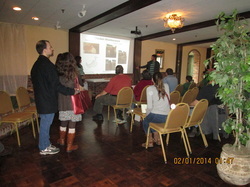 Enjoying one of 8 workshops "Raising Urban Chickens" with presenters Colin, Jo, and Rachel. 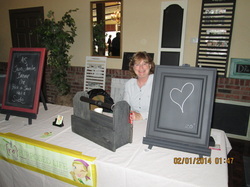 Exhibitor and presenter Gail Wilson, My Re-purposed Life. 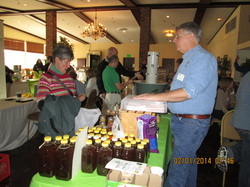 Mike Whishman, Spring Valley Beekeepers, showcases his honey business among our 19 exhibits. Dr Mark McGinley, professor of civil and environmental engineering, University of Louisville, and one of the project managers of Team Kentuckiana. Dr McGinley kicks off our FAN FAIR with his presentation about the fabulous home this team of 200+ constructed. The team from 3 Kentucky and Indiana universities successfully designed, built, transported, and completed a solar powered home in the Department of Energy Solar Decathlon, fall 2013. The home - Phoenix House - a permanent housing solution prototype for disaster relief was designed to save energy and money. Learn about its self-sustaining capability to produce all of its energy, and much of its own water. It was built from low-maintenance, and reclaimed materials. Dr McGinley describes the Phoenix House and its sustainable features during his presentation. Re-purposing her life is her theme. Re-purposing her treasures is her passion. Gail Wilson, once a teacher, has reformatted her life into blogger and self-claimed DIY maven. She continuously re-purposes her life, as many of us do, in response to life changes. Beyond that, Gail spins into the mix her creative notions for reusing the unused and unusable items that she now sees as treasures. She reaps a satisfying life from saving from landfills solid pieces of furniture, household items, and do-dads and creating reusable treasures. And she shares her ideas through her blogging so we can follow her lead in bringing joy to our own homes. Gail tells a few of her secrets about what re-purposing means to her and how we can join the fun of it all. Gary Watrous, president, describes his techniques for designing energy-efficient passive-solar guaranteed homes. He shows pictures of his work and discusses techniques for making existing apartments and homes more energy-efficient. Greg Sekula, Regional Director, Indiana Landmarks, and Ron Stiller, Architect, RCS and Associates, demonstrate through words and pictures, that preserving a home ultimately recycles, re-purposes, and reuses the resources from which it was built. The solid materials, like brick, plaster and old-growth timber, contain 'embodied energy' - all of the energy that went into producing the material and creating the building. Learn more about embodied energy and how restoring - rather than demolishing - saves the building and all the energy that the material holds. You'll learn how to modernize historic homes for today's use, thus, doing our earth the favor of reducing the stress on its resources. It’s possible. And here’s a group of people who can tell you how they built and maintain their low-energy homes. They’ll describe their building designs, landscaping, choice of heating and cooling resources, and more. For starters, one of the panelists declares, “. . . no heating bills for 34 years.” Panelists: New Albany residents, David Ross Stevens, David Brown Kinloch, and Michelle Lori, Moderator Erica Peterson, Environmental Reporter, WFPL (89.3). Are you wondering what your life would be like if you adopted a flock of chickens? But you live within city limits? Is it even possible? And how would you go about it? 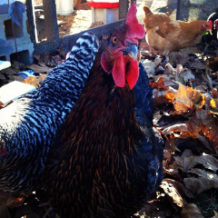 Learn all about raising urban chickens for food and pleasure. Our urban chicken tenders tell all their tips and techniques starting with where to get your chicks and what’s the best age to start with for your situation. Discover what equipment and housing you will need, how to keep your precious egg layers safe, their life expectancy and harvesting all your chickens offer, including the positive effect they can have on your veg patch! Presenters: Joanne and Colin Triplett, raising chickens in Louisville’s Highlands Neighborhood, and Rachel Wallace, Georgetown, Indiana. If you're thinking that all discarded trash has met its useful life and should be incinerated, you're not thinking waste logistics. You're thinking waste disposal. If we want to influence our sustainability efforts, we need to change our thinking and our actions. We'll see from this session how diverting waste from disposal and treating that material as reusable, recyclable resources helps to save our limited natural resources. Any and all of us can practice waste diversion. And when we do, we save the air space in the landfill for the waste that must be discarded by disposal. 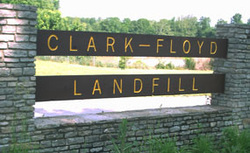 Learn about the expansion of the Clark-Floyd landfill and the barrier wall that gives the Clark-Floyd Landfill ample time to explore other means of waste logistics and to design and engineer the next waste depository for our community. Presenter: Robert Lee, President-Owner, Eco-Tech, LLC, Louisville, KY.